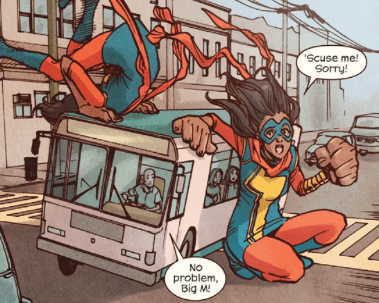 Ms Marvel continues to be tied into Civil War 2. 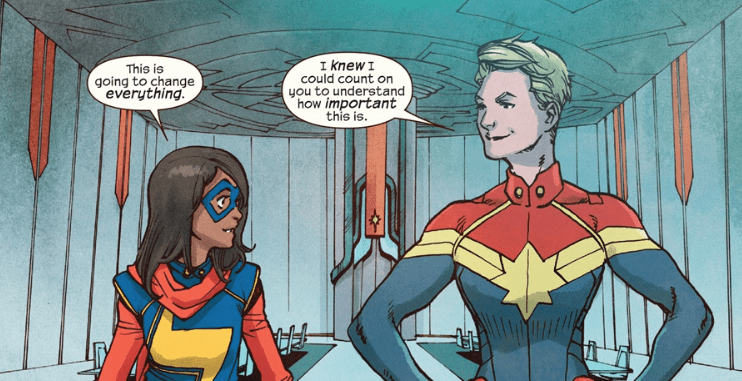 This time digging deeper into Kamala’s relationship with her mentor, Captain Marvel. Captain Marvel recruits Ms Marvel to a task force, who use Ulysses’ abilities to their advantage. They can catch the bad guys before the crime is made, but by the end of this issue Kamala learns that nothing could ever be that easy. Everything comes at a price. 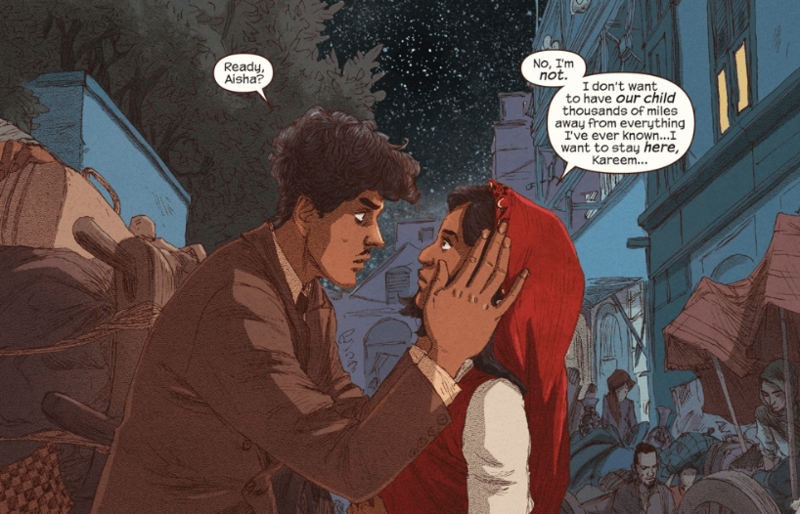 This issue of Ms. Marvel is more of a Civil War 2 tie-in than the last. 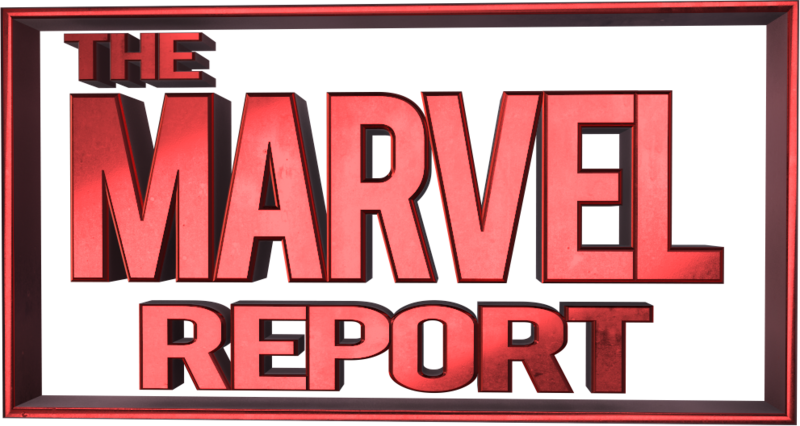 Putting Ms. Marvel center stage between the conflict with Iron Man and Captain Marvel. Ms. Marvel has high respect for Captain Marvel, so when Carol calls Kamala to head this task force she is ecstatic. Kamala’s loyalty also clouds her judgment, but she quickly realizes that knowing what happens before it actually happens comes with consequences. My favorite aspect of this issue is the ethical debate that Kamala struggles with in the story. She has a discussion with her sister-in-law where she learns that you can’t be a hero by catching the bad guy before they do the crime. The hero doesn’t just save the innocent, but they also have a chance to save the person committing the crime from themselves. 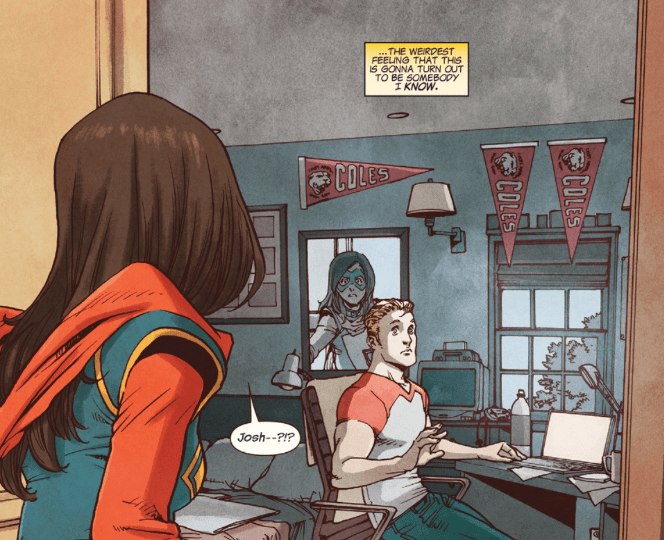 This comes full circle with the cliffhanger where Kamala finds out that her friend Josh is going to somehow in the future vaporize their high school. This a great ending to the issue because it makes her ethical dilemma personal and it’s a good opportunity to flesh out Kamala’s supporting characters. This volume has shown that Josh has layers, and this arc has the potential to give him more character development. Even though this feels like a good Ms. Marvel comic book that progresses her own story their are some aspects that feel forced. I didn’t love the task force aspect of the story. I didn’t learn a lot about these characters. I didn’t feel like they added anything to the story. Another part of this issue that felt off to me was the opening scene. They tried to connect it to the idea of Civil War and Ms. Marvel’s bracelets. It was an interesting story, but I don’t think it fit the issue enough for the pages it took up. This is my favorite art style for Ms. Marvel. It’s cartoonier, but also has the same coloring that the original volume had. I hope we see this art style more frequently in the series. There was a great flow in action, especially because this was a more focused Ms. Marvel issue instead of a Kamala issue. I also really enjoyed Kamala’s facial expressions. Their was a glow to her face when she was talking to her idol, Captain Marvel. 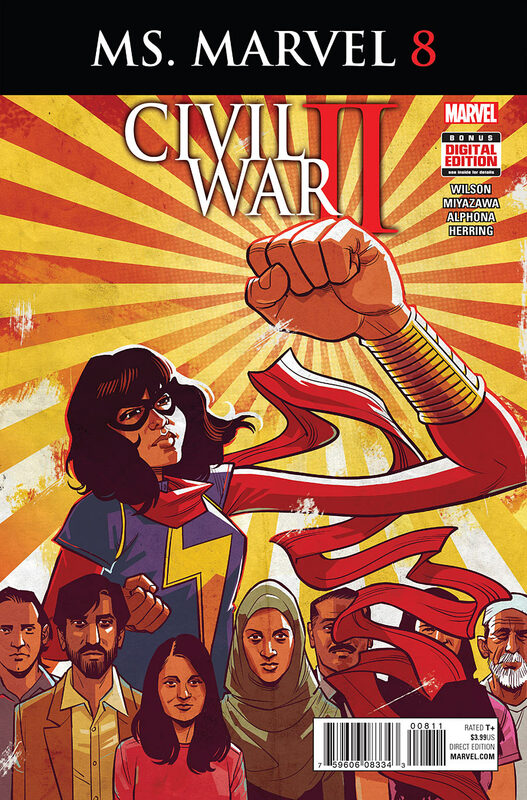 An interesting tie-in to Civil War 2 that also progresses the main story in Ms. Marvel.